Unboxing the Note reveals a solid, high-end device that is packed with tons of features. 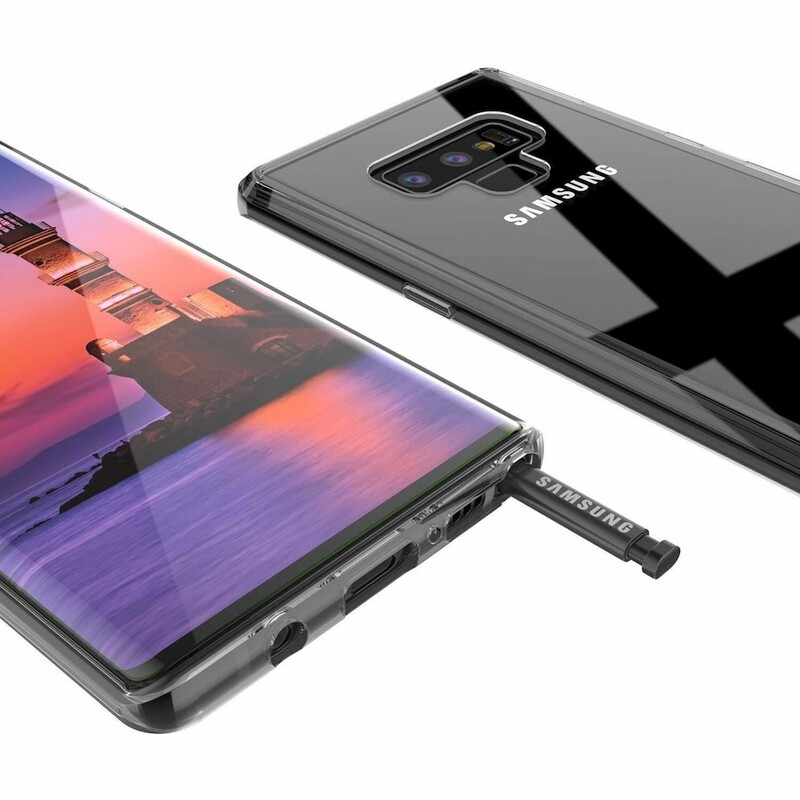 Design-wise, not a lot has changed from last year’s Galaxy Note 8 design apart from a more sensible fingerprint sensor location, but then I’d argue that it is probably more a case of if it isn’t broken, don’t fix it. In hand, the Note 9 has a decidedly premium feel to it. There’s no creaky plastic here, with the device all metal and glass and its sleek lines and subtle curves give it an almost organic feel, with a satisfying amount of heft, making it feel great in the hand. There are a bunch of colours available including midnight black and metallic copper. The review unit I tested was ocean blue which comes with a striking yellow stylus. In short, it looks and feels great. The first thing you notice when you power up the Galaxy Note 9 is its massive 6.4″ display. It’s huge. If you get tired of making calls, go surfing. Honestly, this smartphone feels big enough to do double duty as a surfboard. Besides, it is IP68 water resistant so why not? Its display may be bigger than huge, but it’s 18:5:9 aspect ratio means it doesn’t feel too big in your hand. The actual display is a Super AMOLED panel with an ample 2960 x 1440 resolution. A dot pitch of 516ppi also made individual pixels next to invisible. Being AMOLED, colours pop and it offers up excellent contrast levels. All of this contributes to pin-sharp on-screen goodness that makes the Note 9’s display one of the best I’ve laid eyes on. Gorgeous screen aside, there’s plenty going on under the hood. First things first, the Galaxy Note 9 has a huge 4,000 mAh battery. Samsung says it’ll deliver all-day battery life. I tried to tax the battery as much as possible by using it as a media, gaming and internet machine, pairing it with as many Bluetooth widgets as possible and using almost continuously. With heavy use, I managed to get a day and a half before it finally begged for some quality time with the charger. Speaking of chargers, it also supports Fast wireless charging. Battery stamina doesn’t seem to have come at the cost of performance. 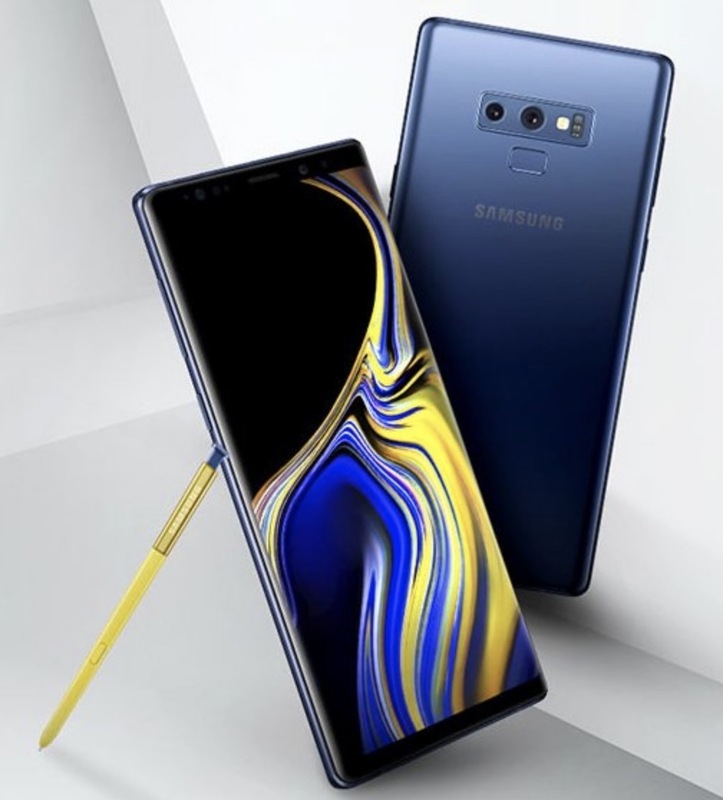 The Note 9 is powered by an in-house developed Exynos 9 Octa-core 9810 CPU that is clocked in at 2.9Ghz. It is a beast. There doesn’t seem to be anything that can slow it down. It’ll eat gaming, multimedia and nearly anything you can throw at it without a hiccup, stutter, burp or complaint. The big selling point with the Note is that it comes with several metric tonnes of storage and RAM. There are two variants – one comes with a generous 128GB of storage and 6GB of RAM while the other has a whopping 512GB of storage and 8GB of RAM. Add in a 512GB micro SD card, and you have a terabyte of storage – more than on most laptops. For anyone with a lot of apps and a big media library, this should appeal. The ample RAM built into both devices also makes for silky smooth multi-tasking. 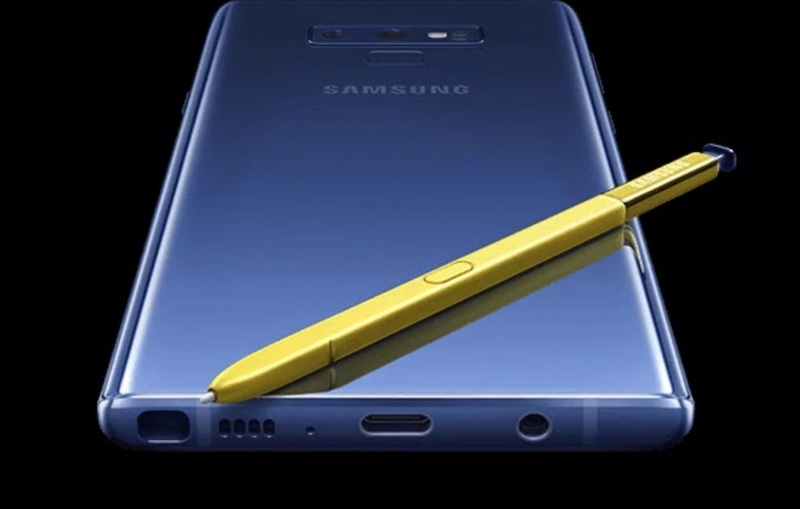 Where most smartphones are rectangular look-alikes that are much of a muchness, the Galaxy Note 9 stands out thanks to the S Pen stylus. With this year’s Note, the S Pen has had an upgrade. It now features Bluetooth connectivity which Samsung has cleverly used for some shortcuts. You can switch between the front or rear camera and take a photo, just by clicking the S Pen button. The music player can play and pause music or skip to the next track, and you can advance through images in the photo gallery or slides in PowerPoint. Nicer still, Samsung has put out an SDK, so developers can allow their apps to take advantage of the stylus. 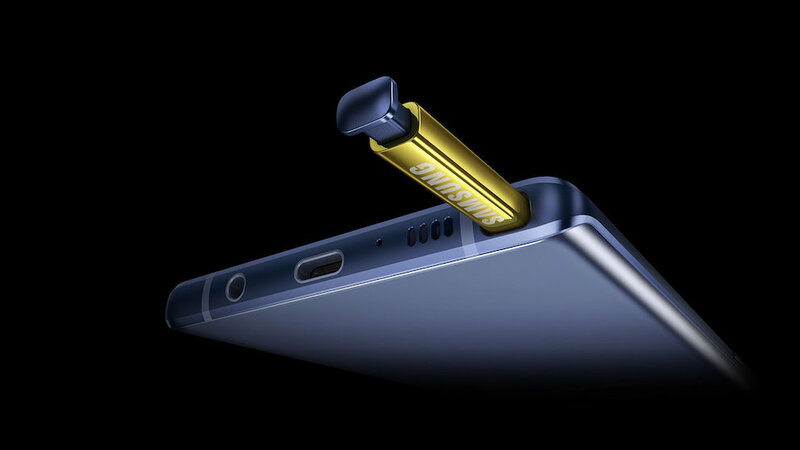 The S Pen has a built-in battery charge when docked with the Note 9. Forty seconds of charge gives around 30 minutes of battery life. Unlike a lot of other phones, the Galaxy Note 9 is also defined by what hasn’t been removed. Where so many different brands whipped out the 3.5mm headphone jack, the Galaxy Note 9 still has it. That Samsung seems to be one of the few phone makers whose hardware sports a 3.5mm jack and is water and dust resistant (IP68) gives them a considerable advantage. If Samsung can do both 3.5mm sockets and water resistance, the question that begs to be asked is: why can’t the others? Spinning the Galaxy Note 9 around reveals a dual camera setup with twin 12-megapixel sensors. Around the front, there’s an eight-megapixel sensor. The camera takes what worked well with the Galaxy S9 and adds in some AI smarts. In use, it performed well outdoors and in low light conditions. Where the Note 9’s camera really shone, however, is with the artificial intelligence feature. It can automatically identify what it is you’re shooting and tweak the camera settings, allowing you to get the best out of the camera. It’ll even alert you if there is a problem with the photo you’ve just shot. All told, it’s difficult to take a bad picture. The one thing that struck me with the Note 9 is the sheer number of features that are tucked away on it. Want to customise its audio to your hearing? Not a problem. Want to tweak how the camera activates? Easy-peasy. Need to adjust the screen resolution? Piece of cake! You could use the Note 9 without ever needing to touch any of the tweaks buried in the settings menu, but it is nice to have the option to be able to customise nearly every aspect if desired. While there’s a lot to like with this smartphone, there is, however, one gotcha: Its price. A fully spec’d Galaxy Note 9 sells for just a shade under two grand. That’s a lot of cash for a phone, and in a price sensitive market such as New Zealand, it could prove to be a deal breaker for some loyal Samsung customers. That said, you do get one hell of a lot of smartphone for your money. 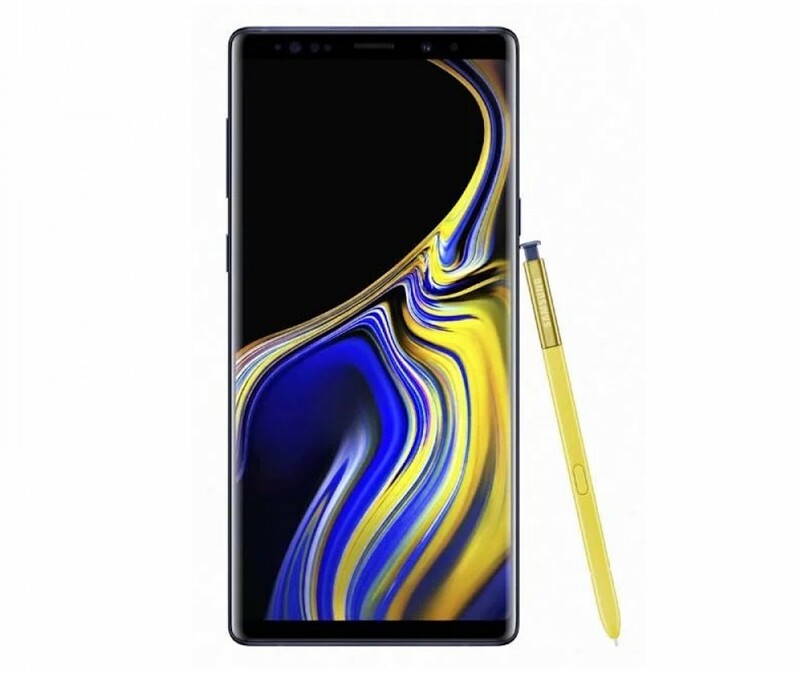 While many phone makers are resorting to smoke, mirrors and more than a little marketing skulduggery to justify OTT prices, the Galaxy Note 9 does offer features, specs and design that make it worth the price.